Irritable bowel syndrome (IBS) is a complex disorder in which the intestines lose their ability to efficiently move their contents. The main symptoms of IBS are abdominal pain, bloating, diarrhea, and/or constipation. Less common symptoms may include headaches, fatigue, depression and anxiety. Symptoms may be triggered by stress, diet, emotional factors, hormone levels and medications. Acupuncture and Chinese medicine can offer a safe, effective, natural and drug-free way to address IBS. This holistic healthcare system looks at the body differently than Western medicine. According to Chinese medicine, the body is like a garden that must be cultivated and maintained in order to grow strong and remain healthy. Good health happens when all of the organs and meridian systems are balanced and working together. According to Chinese medical theories, there are several possible causes for IBS. One of these is an imbalance of the spleen. The spleen is the organ in charge of digestion and assimilation of foods and liquids. One of the main functions of the spleen is to aid in the production of spleen Qi. Spleen Qi is the energy that provides power and nourishment for the entire body. Another function of the spleen is to produce blood from the food it breaks down and to convert it into usable energy to power your body. If your spleen isn’t properly cared for, the body’s energy levels will not be supported and illness may occur. The spleen is easily affected and weakened by poor eating habits and diet, antibiotics, excessive worry, or a weak constitution. When a weakened spleen cannot metabolize or process food efficiently, “dampness” appears in the body. Dampness occurs when rotting, undigested food sits in the gut, causing a variety of symptoms. If dampness “rises” to your head, you may experience headaches, a “foggy” feeling and an inability to concentrate. Over time, dampness can lead to bloating, fullness and loose stools. Another possible scenario is an imbalance in the liver. According to Chinese medicine, the liver is associated with emotional health. Stress and anger directly influence the function of your liver. Alcohol, drugs and medications, or a poor diet further compromise its function. When this happens, your liver energy overflows, in a figurative sense, and attacks the spleen. If your spleen is already weakened, it can be easily overcome. The result can be stress-induced IBS. If your liver is compromised, you may experience alternating diarrhea and constipation, as well as bloating, gas, headaches, and dull pain. In this case, your liver may be the root of the problem, and your spleen the secondary problem. An imbalance in kidney Yang could also cause IBS symptoms. kidney Yang is energy that provides warmth for your body. This energy warms up your spleen to aid in the digestion and breakdown of food. If your kidney energies are compromised, you may experience early-morning diarrhea and possibly bladder incontinence, cold limbs, weak knees and a sore back. Acupuncture and Chinese medicine can create a clear picture of the root imbalance(s) that lead to IBS symptoms. When you meet with your practitioner, he or she will determine what organ and meridian systems are contributing to your IBS. They may also suggest adjunct therapies such as herbs, dietary changes, breathing techniques and exercises in order to maximize your healing. Acupuncture and Chinese medicine can provide a safe, natural, drug-free and effective way to address IBS. 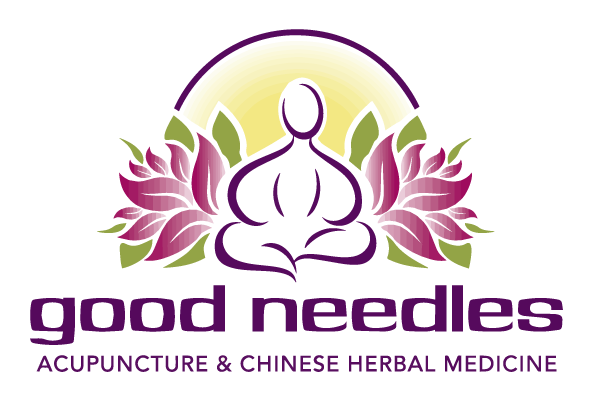 Good Needles Acupuncture And Chinese Herbal Medicine has been recognized as one of the top Wheat Ridge Acupuncture practices.